Many might think that not much goes on in the RainyDayGarden during the winter months, but they are mistaken. Birds and other creatures that do not travel south or hibernate come by the garden daily in search of tasty snacks. So for this year’s RainyDayGarden Gift Guide, we would like to feature some awesome items specifically for that purpose from our favorite gardening site…Gardeners.com. Both the cylindrical and donut-shaped birdfeeders are made with crackle glass. We like them because they look great when the sun is out and offer shelter for the birds during feeding time when the weather is not so nice. While the purple and blue are our favorites, both are available in other colorful shades. Wellington rain boots (Wellies) are fabulous for a variety of reasons. A cut above ordinary rain boots, these wellies have a tough natural rubber outer, quick-drying fabric liner, removable insole and deep-lugged soles for traction on slippery surfaces. While you can buy Wellington boots from a lot of different vendors, this particular garden-inspired design is exclusive to the Gardener’s Supply Company. 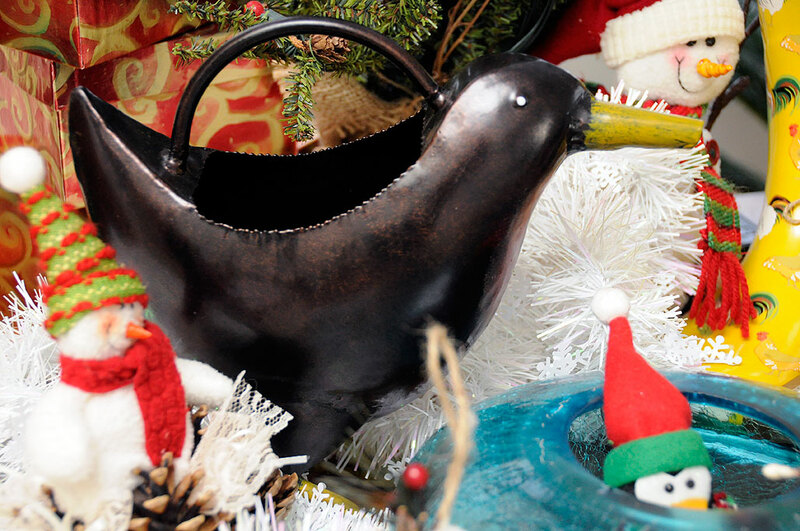 One of our favorites this year is the whimsical Bird Watering Can. The size is perfect for watering small potted plants. It is a decorative, yet functional, piece of folk art that will look great inside the house or out in the garden. You will need to hurry with this piece as quantities are limited. When Spring comes and you can open the windows again, keep them from slipping back down with the clever Stoppy from Under The Roof Decorating. Complement the happy chirping from your outside avian friends with a cup of tea brewed using the blooming tea pot. When you drop one of the special tea balls into the clear glass teapot, an amazing transformation takes place as the ball opens and “blooms” into a beautiful flower. 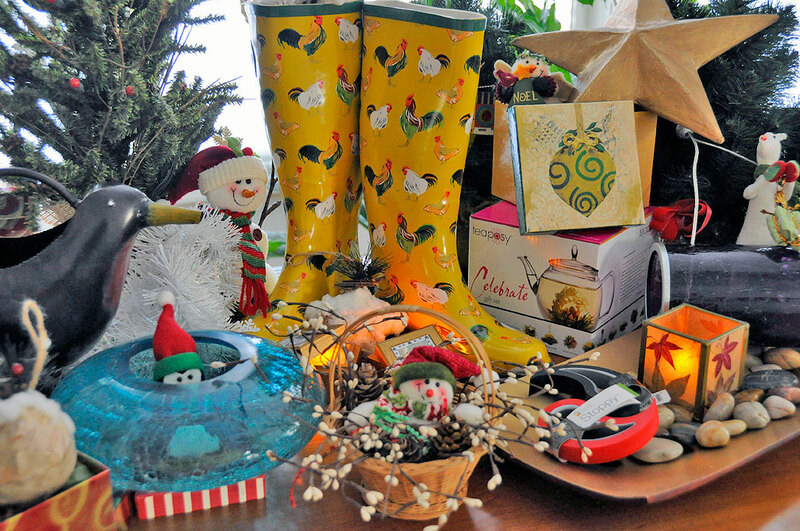 We hope these suggestions will help you find something for the gardeners on your “good” list. If you don’t see something suitable, just head over to Gardener’s Supply Companyand look around. We are sure you will find something. We always do! Have a great Holiday!